There's a mystery Oreo cookie flavor on store shelves, and the company behind it is offering you a chance at thousands of dollars if you can guess what it is. 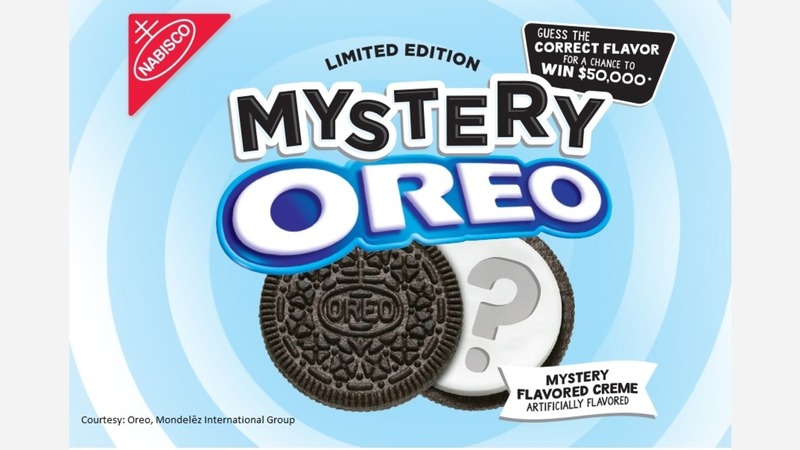 According to the contest rules, you need to purchase a package of the Mystery OREO product. Take a photo of yourself with the Mystery OREO product. Follow the links and instructions on the Website to upload your Submission. The grand prize winner will receive $50,000. Another five people will win a first prize of $10,000. The grand prize drawing will be held on or around December 11, 2017.